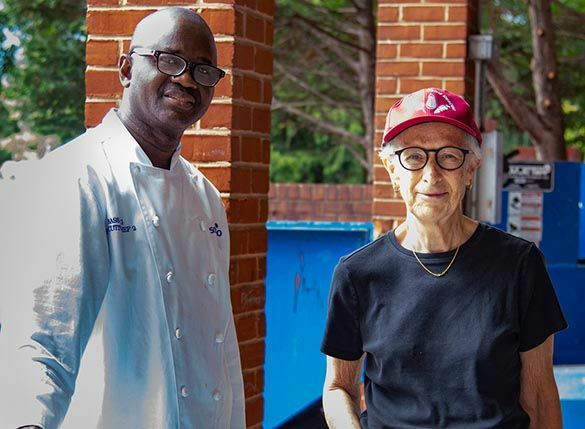 Help end hunger and steward our environment by giving your surplus food to food assistance organizations so they can help feed people in Montgomery County who experience hunger. Volunteer food runners will pick up your donated food and deliver it to where it can do the most good. You can donate on a regular schedule or request a one-time pickup. Follow the easy steps below to get started with our free food matching app, ChowMatch. Click on the ChowMatch button below, enter your email and create a password to sign up. Enter your business name. If you are a licensed Montgomery County food business, your account will be activated immediately. If not, your profile will be reviewed and you may be asked to provide additional information about your business to ensure food safety. You will be notified, usually within 48 hours, when your account is active. Tip: Once you have created a profile, download the ChowMatch mobile app for Android or iPhone to post food runs from your smart phone. You can post both one-time food donations and regular, weekly scheduled food donations. For regular donations, you only need to list your regular food runs once and update or cancel the run when something changes. List the date and time frame for the donation, donation amount, food categories, brief description of donation and any special instructions of where the volunteer picks up the food. (Optional) Select the organization that you have an established relationship with. Start typing the name and choose from the dropdown menu (the recipient must already be part of the CFR network). As soon as you post a food donation, the ChowMatch will match your donation in real time with a food assistance organization in the CFR network. You will receive the first of two emails confirming a match with a recipient organization. Next, an email food run request is sent to all the volunteer food runners in your vicinity. As soon as a volunteer accepts the run, the donation is scheduled and everyone is notified with details and contact information. If you need to cancel a scheduled run, you may do so under Donor>my food runs. Refer to CFR’s Food Safety Guidelines (or download a PDF) about foods that can and cannot be donated, safe food packaging, labeling, and storage requirements. When the volunteer arrives, provide time/temp information about the food (if needed) and sign the tracking form. Download CFR Food Labels for prepared food that is not in its original packaging (download here). Click on the pencil icon. Update the amount of food that was actually donated if it differs from the amount you posted. This information is used to accurately report the total amount of food that is being donated. Tip: If you schedule a regular weekly food run, you only need to sign and rate your first run. You only need to update the amount of food donated if it differs from the estimated amount you initially entered. Read our County-approved Food Safety Guidelines for handling and transporting recovered food. Learn how the Good Samaritan Act protects food donors and recipient organizations from liability. How do I know what kinds of food I can donate and how to package food? Please refer to CFR’s Food Safety Guidelines and short video about foods that can and cannot be donated, safe food packaging, labeling, and storage requirements. CFR works closely with the Montgomery County Department of Health and Human Services (DHHS). We also train CFR volunteers in safe food handling practices and use a tracking form so that food safety is tracked throughout the donation process. Donors and recipients sign an electronic signature in ChowMatch after each food run to verify that food was handled according to CFR Food Safety Guidelines. Why should I join CFR and use ChowMatch if I'm already donating food? 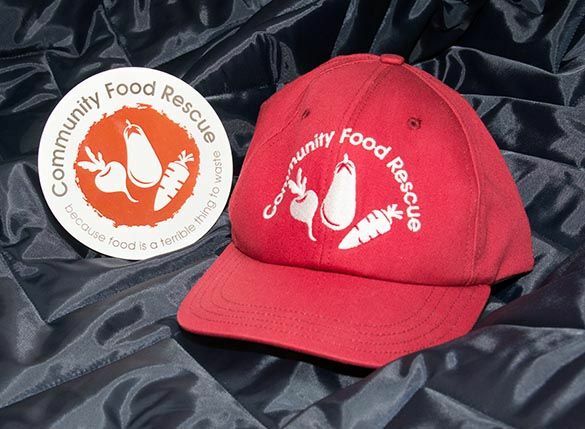 CFR honors your existing relationships with food recipient organizations and you will continue to donate as before. But the advantage of joining CFR is that all food donations will be recorded, information aggregated, and you can create customized reports for promotion and claiming tax deductions. 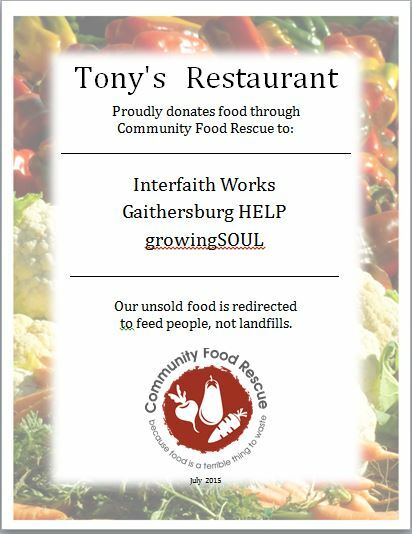 Your donation information will also be aggregated with all the other food donations to show the collective impact that Montgomery County is making toward feeding more and wasting less. Yes, it is 10 meals or 12 lbs. We encourage donors to aggregate and freeze amounts less than that and schedule a donation when you reach this minimum. Can individuals donate food or receive food? Call about your donation before you drop off food. Food donated through CFR only goes to food assistance recipient organizations, not directly to individuals. The recipient organizations then distribute donated food to their clients. What if no food runner responds or a donation is not picked up? If no volunteer accepts the food run, donors are advised to chill or freeze and store the donation until the next day, and post it again as a new donation. The donor can also choose to take it to the recipient themselves. Check the “donor will deliver” box when posting the donation. If a run is scheduled, on the rare occasion when a volunteer doesn’t pick up the donation, contact the CFR administrator cheryl@communityfoodrescue.org. How can I provide feedback about my experience? CFR wants each food run experience to be a good one, so we ask each participant—donors, recipients, and volunteer food runners to rate your experience, similar to a Yelp-type rating. Each participant will use their online account to rate their satisfaction and can also offer suggestions for improvement. TIP: Donors that post regular weekly food runs only asked to rate this run the first time. You can always contact the CFR administrator if you wish to report a problem or offer comments. Are participants protected from liability if someone gets sick from eating donated food? Yes! The Bill Emerson Good Samaritan Act established in 1996, protects businesses that donate food in good faith from being held liable should someone become sick from the food. The only exception to the law is in the case of gross negligence or intentional misconduct. Additionally, Maryland Health-General Code Ann §21-322, states, “A person [nonprofit corporation, organization, or association], shall have the immunity from liability for any act or omission that affects the nature, age, condition, or packaging of the donated food.” Food donors must still follow safe food handling practices as described in the CFR Food Safety Guidelines. Can businesses take a tax deduction when they donate food? In 1976, Congress enacted Internal Revenue Code, Section 170e3, as an incentive so that businesses can take an enhanced tax deduction for fit and wholesome food inventory donated to qualified 501(c)3 nonprofit organizations that serve people experiencing poverty and hunger. These businesses can deduct the production costs of the donated food and as, an enhancement, half the difference between the cost and the full fair market value of food donated. The America Gives More Act 2015 includes permanent tax deductions for all food donor businesses. Click HERE for a simple-to-follow guide with examples of how to apply the enhanced tax deduction. How can a business that donates food get public recognition? CFR will recognize all participating licensed food businesses on our website and social media. Donors are welcome to request a printer-friendly certificate that recognizes the organizations that receive their donated food. They can print an 8-1/2 x11 certificate to frame and post in their establishment. In addition, all participating businesses are encouraged to become nationally verified food donors through Food Recovery Verified. Do you have information about the benefits of being a food donor? Yes! Download our brochure to learn more. And if you’re a caterer, we have a special brochure just for you.